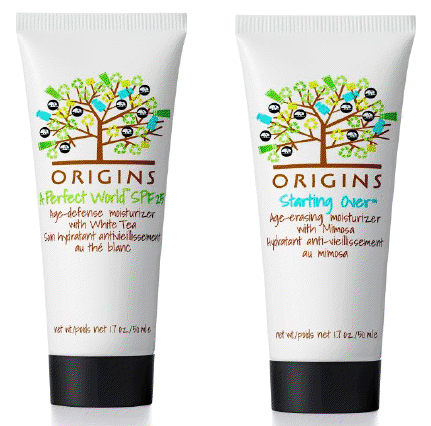 Quick heads up that if you are heading to the shops today and have a recently finished skincare product, take it with you and pop to an Origins counter and they will exchange it for a full sized Origins product (either A Perfect World or Starting Over). This offer is part of Origins Earth Month campaign and their Global Commitment to the Planet. This offer is only on today (21/04/12) so hurry if you want to make the most of it! All sold out everywhere by 11am so they must have had about 5 per shop! Shops had only been open for an hour. Wow! That’s fast – apparently there were 5,000 nationwide samples available overall! p.s. Thanks for letting me know! this was a really great idea! pity if its true that they only had a few available only!